Window Seat is the leading travel trade journal for the travel professionals in Finland and it has been published for 30 years. Ikkunapaikka-Window Seat aims to monitor and analyze the development of the travel market in Finland and abroad. Window Seat is published six times a year and its subscribers include a.o. all Finnish AFTA (Association of Finnish Travel Agencies) members. 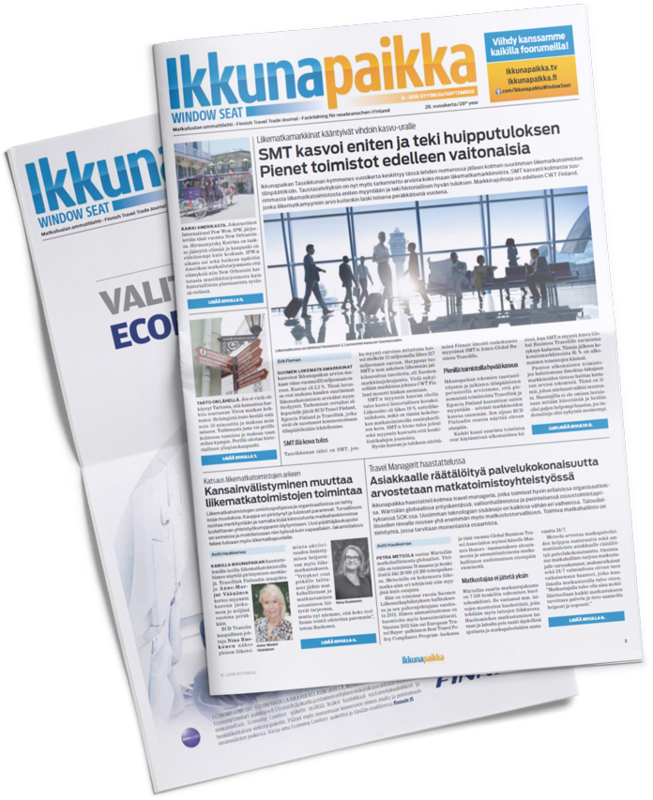 Also The Finnish Business Travel Association (FBTA) subscribes it to all of its members. The circulation is 5 000 copies and the readership is about 14 000 readers. Window Seat is an associated member of the Association of Finnish Travel Agents, PATA Finland Chapter and Discover America Committee. Ikkunapaikka-Window Seat reaches the professionals in the travel trade in Finland!